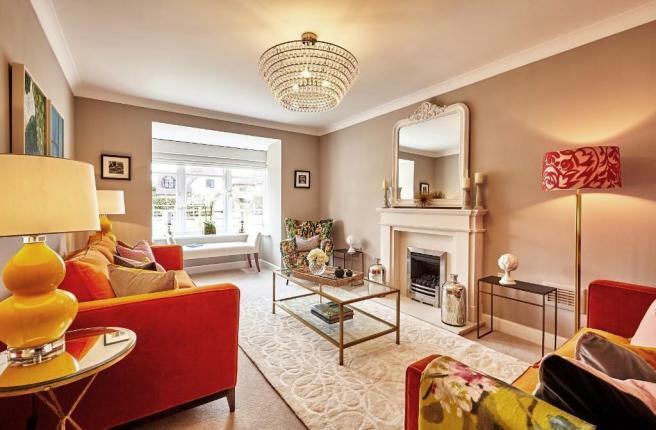 The Datchet - The wide hallway on the ground floor leads to the cloakroom, living room with french doors opening onto the garden, kitchen / dining room with integrated appliances. 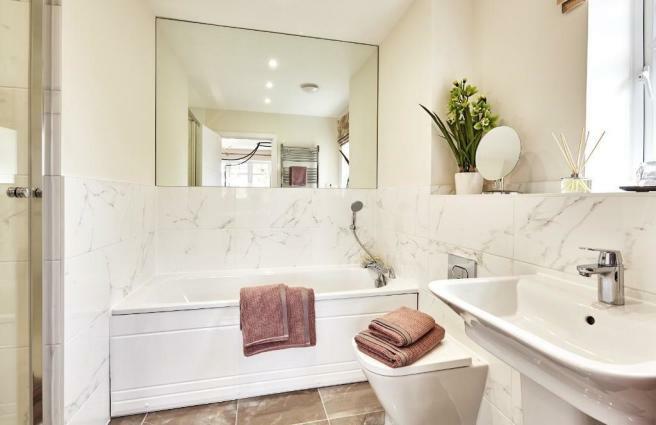 The first floor landing leads to bedrooms 2, 3, the Roca white family bathroom, the master bedroom has a built in wardrobes and Roca white en suite. This property also comes with private parking spaces and garage. When you purchase a Bewley home you have peace of mind with a 10year build guarantee and 2 year NPA24:7 warranty. Kitchen/Dining Room 5.08 x 3.00m 16'6" x 9'6"
Living Room 5.08 x 3.45m 16'6" x 11'3"
Master Bedroom 3.50 x 3.40m 11'3" x 11'0"
Bedroom 2 3.01 x 2.97m 9'9" x 9'6"
Bedroom 3 3.01 x 2.00m 9'9" x 6'6"
An exclusive collection of only 32 new homes, situated in a charming enclave amidst the traditional leafy avenues of Spencers Wood, on the periphery of the vibrant, cosmopolitan town of Reading. 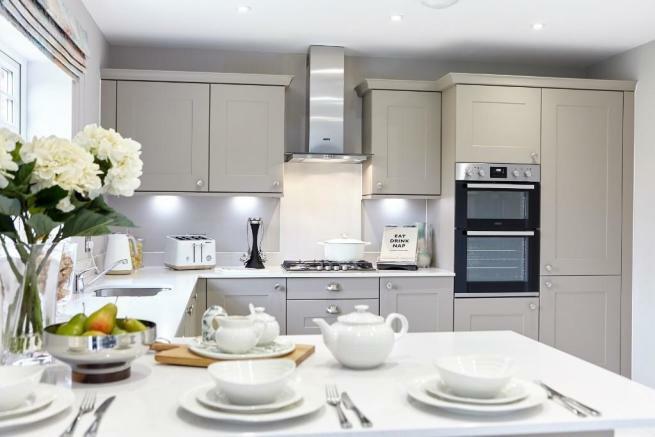 At Bewley, we know the little details can make a big difference which is why we place such great emphasis on the quality and care we put into creating our homes. 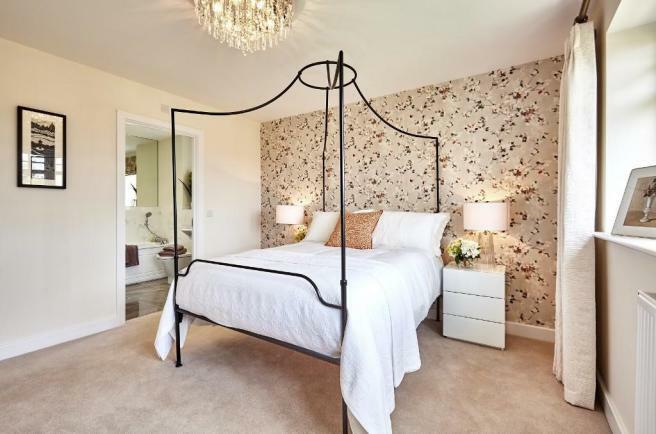 At Loddon Oak, our 3 and 4 bedroom properties come with superior features including underfloor heating to the ground floor, integrated appliances, bathrooms by leading innovative bathroom designer Roca and the Bewley signature high ceilings, wide hallways and generous room proportions. We've taken care of the finer details so you can fall in love with every aspect of your new home. 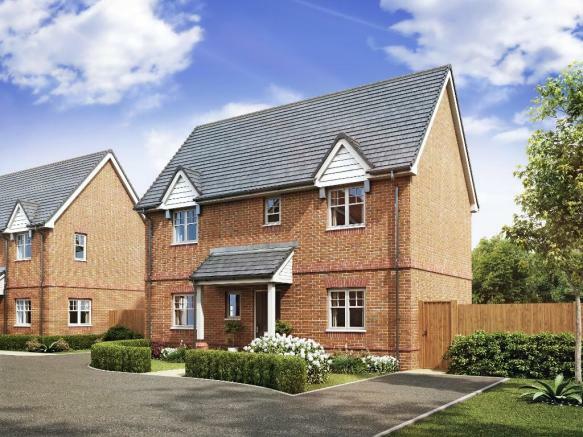 Your new home is nestled in the peaceful village of Spencers Wood, whilst the bustling town of Reading is just 15 minutes away by car. With a wide variety of activities, there is something for everyone. Spencers Wood offers a fine range of amenities including a convenience store, a post office, a bakery and a library. The local pub the Farriers Arms offers you a warm welcome and Miah's delicious Indian cuisine is just waiting to be enjoyed. Everything the dynamic town of Reading has to offer is yours for the taking. Stroll along the river, catch some live entertainment at The Hexagon, or tempt your tastebuds at any number of restaurants including Quattro, Pepe Sale and Bel & The Dragon. Whether you're travelling by road, rail or air, you are conveniently placed thanks to excellent transport connections close to home. Loddon Oak is around a 5 minute drive from the M4 (J10) enabling you to easily access the City Centre of London, Heathrow Airport, Windsor and the West Country by road. Reading Station, with its superb rail links to central London, the South West and the Midlands is approximately 20 minutes by car and offers a service into London Paddington from 23 minutes (there will be the added benefit of Crossrail from 2019). Disclaimer - Property reference P27_LO. The information displayed about this property comprises a property advertisement. Rightmove.co.uk makes no warranty as to the accuracy or completeness of the advertisement or any linked or associated information, and Rightmove has no control over the content. This property advertisement does not constitute property particulars. The information is provided and maintained by Bewley Homes. Please contact the selling agent or developer directly to obtain any information which may be available under the terms of The Energy Performance of Buildings (Certificates and Inspections) (England and Wales) Regulations 2007 or the Home Report if in relation to a residential property in Scotland.